By Shaunna Evans 22 Comments · This content may contain affiliate links. This month the Virtual Book Club for Kids is reading books by Donald Crews. Earlier this month I shared some of his books and activities to go along with them. I don’t know about you, but my little ones LOVE to see school buses when we are out and about. They get so excited! That enthusiasm inspired me to put together this simple alphabet game. For your convenience this post contains Amazon affiliate links. We read School Bus a few times and talked about the job a school bus and its driver have to get kids to and from school safely. Then I introduced our toy school bus and its special passengers. 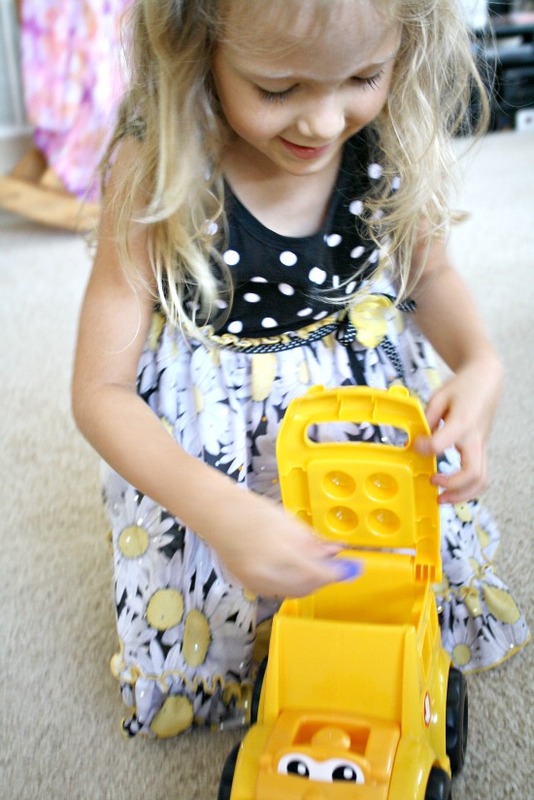 We used the Sonny School Bus from Mega Bloks, but any similar toy would work. 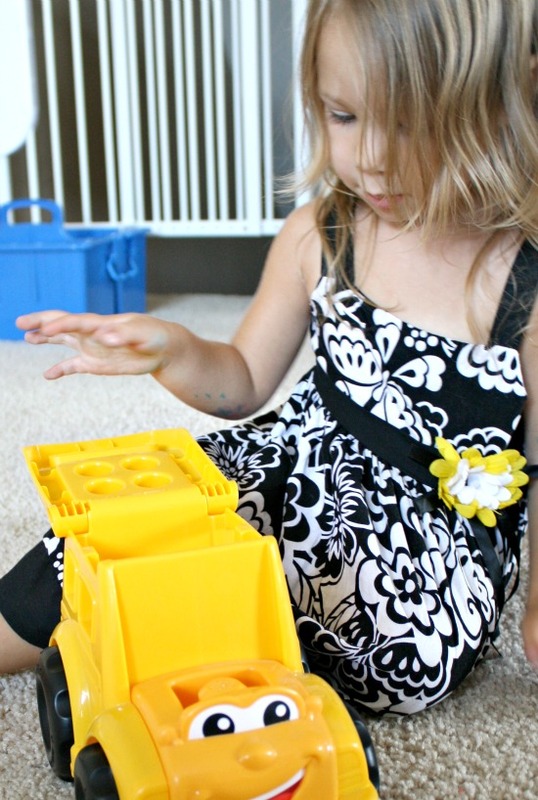 You could also create your own school bus like this milk carton craft from Mom to 2 Posh Lil Divas. Just add an opening to the top or side for the kids to add their passengers. For passengers we used a variety of lids. 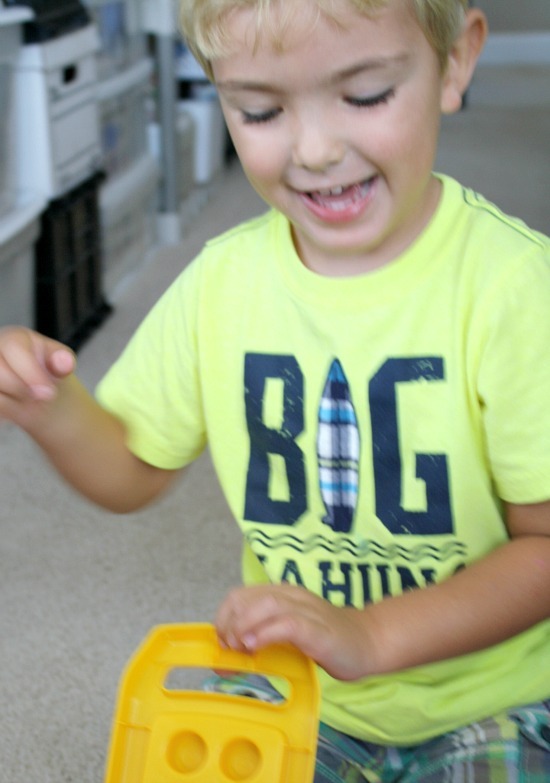 I wrote lowercase letters on ours to help the preschoolers review them, but you could add anything to the lids…numbers, uppercase letters, sight words, shapes, etc. 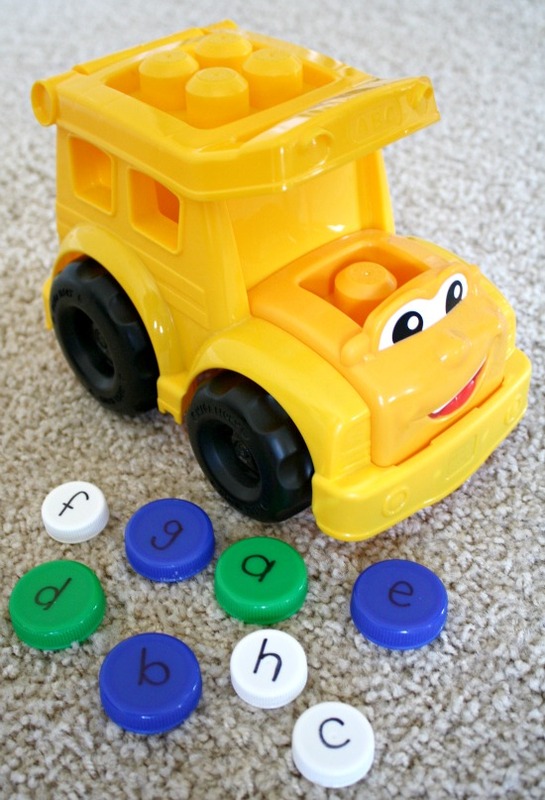 As soon as we opened the bus Lovey noticed that there were letters on the lids, and she instinctively started putting them in alphabetical order. Once she was done I introduced the alphabet game. Each of the kids got a job, bus driver or parent. All the parents took their kids (the ABC lids) to find a bus stop around the room. We basically set them up in a circle around the perimeter of the room. Once the parents got all of the kids ready at the bus stops the bus driver drove the bus around to pick up the kids. As he or she got to the bus stop, we all named the letter on the lid before the bus driver put the kid in the bus. 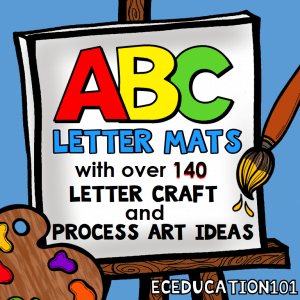 Older kids can also say the letter sound and/or a word that begins with the letter. I thought the kids would like this game, but I had no idea just how excited they would get about being the bus driver! They played again and again. All the while they were taking turns, practicing the ABCs, and working together to make sure none of the kids were forgotten by the school bus each time. Lovey was a little disappointed that the kids didn’t have a school to go to after the bus picked them up. She decided to build them one, and so began another fun way of extending this great book by Donald Crews. Now that we’ve shared our activity with you, we’re excited to see what you came up with! Please link up your Donald Crews inspired posts to the blog hop linky below. Link up only posts inspired by Donald Crews’ books that share book inspired crafts, activities, recipes, etc. Any other posts will be deleted. 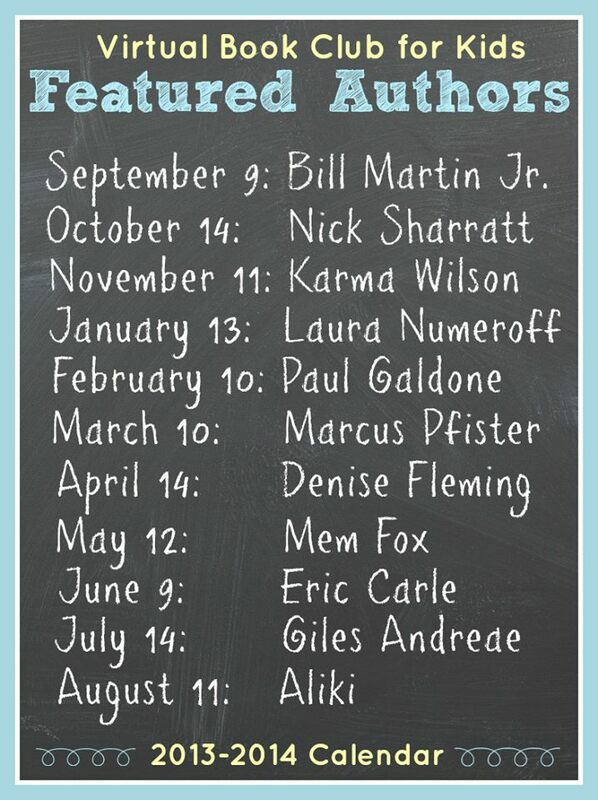 We’re excited to announce the author list for the upcoming year. Mark your calendars so you can join in and read along with us! What a great idea, Shaunna! 🙂 Love it! Hey, I wanted to let you know I featured this idea on mom’s library at ready-set-read today! What a great idea! 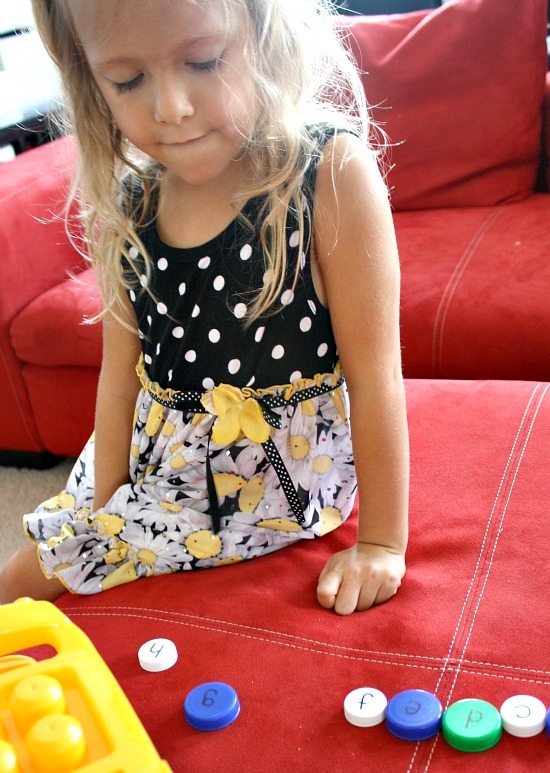 Using things you have around the house and turning them into a learning game, that’s what it’s all about! (insert Hokey Pokey song here). Thank you for linking up to Mom’s Library, I’ll be featuring you next week on Crystal’s Tiny Treasures. Have a great weekend! Just made a bunch of milk lids with letters…Can’t wait to try this with my little guy! Awesome! I hope he has fun, and when you’re done save those milk lids. You can use them for a ton of different activities! Ohh what a great activity – love the little bus as well. This is so fun! I want a truck like that. We have loads of lids and I am always trying to find a new way to use them. Pinning this! 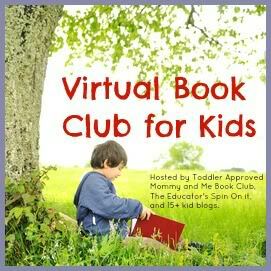 So glad you are part of Virtual Book Club! Thanks, Kristina! I’m glad to be a part of the VBC, too. So many great ideas shared all of the time! My son loves spotting school buses, too! I’m sure he would enjoy being the bus driver! Something about school buses! Kids always seem to like them, don’t they? We love this book and will be doing this activity today! What a great and easy idea! Cute! My son would love this! Pinning! Thanks! I hope he has fun!